Then this silly boy joins in: So you're coloured in? Guys. Take a deep breath with me. Next week I will be talking to 200 kids. 200. As part of the Stoke Newington Literary Festival 2017 Kids Festival. I've made my presentation which I think is good. I mean if I was in Yr 5 and 6, I would have a fab time hanging out with me. Pray for me guys. But on a serious note, I'm so excited to be part of the festival. I've wanted to be part of it for 4 years so I'm buzzing (but a bit nervous). It's funny when I tell everyone 200 kids, they're all like, “Oh, you'll be fine.” It's like no-one is listening. Can you believe Emily comes out in a few weeks!!! I can't believe how fast it's gone. Technically my advanced copies are being printed out this Friday cause I need them in time for the festival. I'm still shocked I've published two books! And between my next one and Hashtag Press, I have four more to go this year! Again, pray for me guys. I don't know what smart person told me to publish two books in one year. Unfortunately the smart person was me. I finally got my Emily Knight battle card!! I think Zetman92 felt the pressure, cause he took a bit longer than usual and said he wanted it to look perfect. Here she is! There's more visuals on www.a-bello.com and I have ordered the battle cards so this will be on sale in a few weeks. 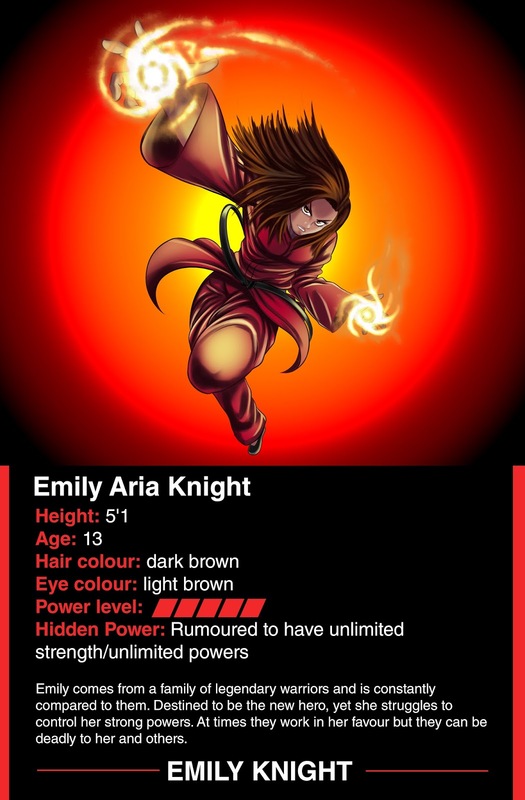 AND there's a company in America called Spear Craft Book Box, who have this monthly subscription for YA book lovers and they want me to send them Emily Knight and the battle cards to be part of the box. How cool? So now I'm thinking I need more merch!! When I have a moment to breathe I'm going to think about all the other cool things I can sell. I do love my Kardashians and Kim getting road and going off on that girl, was probably the best thing I have seen her do. Fact. 13 reasons Why. On episode four and still trying to decide if I love it or not. It's good but is it good good? I went to the Word of Colour event in Waterstones Piccadilly. I actually hate the term 'people of colour'. It just sounds odd to me. I personally just like to be called black because I am. But it was a really good event. One lady ruffled some feathers saying all YA books are about gangs and crime! When I was watching the authors, it was so weird it was like I saw myself there. And then Waterstones Islington said they will host my book launch! Me: What are you talking about? Am I a drawing? Boy (confused): No but you have colour so you've been coloured in? Black is a colour. Me (trying not to switch): Isn't white a colour? So are you un-coloured? Me: And I'm black - what are we talking about?! I cannot with these kids. What do their parents teach them? It's weird to me that these kids even see colour. I swear I didn't see it until a couple of years ago and on top of that these kids live in Hackney and they don't know how to say black? No words. This is my other issue with kids. So I have a class and they were telling me about their prom and who likes who, who's dating who etc. So I had been talking to one of the guys in the break, really sweet kid, let's call him X and he was telling me about one of the girls he had asked to prom. Anyway long story short, I was asking the girl why she changed her mind to go to prom with X and then some other kid goes, “Miss, if you were ten would you date X?” I was so confused. What kid of weirdo question is that? So then I had to make it VERY clear that I'm 28, this kid could be my kid. This is what I mean about kids. You give them an inch and they take a mile and then try and twist what you say, so it sounds like you fancy a child!!!! I CANNOT DEAL. I feel like I am finally seeing all of the hard work that I have put into being an author really starting to show. There's a lot I can't say at this stage but it's all very exciting and if it all pulls off - well I'll be a very happy lady. I'm at a really good position with the businesses and writing is becoming profitable which is allowing me to cut back on dance. It's weird cause I wanted to be in this position years ago and now I'm finally here, it just feels surreal. Look what God can do. Was anyone confused why Rita Ora hosted America's Next Top Model but the supermodel Ashley Graham was just part of the panel? Why is it so hard to find good jeans? I finally got a pair in Gap with 50% off thanks to my friend who is a manager. I had ordered a pair online, tried it on and looked a mess. So I changed it for a pair in store. There was already cuts in it but I wanted more, so I cut them up. Please tell me why the next day, I forgot their was a cut at the knee, stepped into the jeans, into the tear, pulled them up and tore it even more! 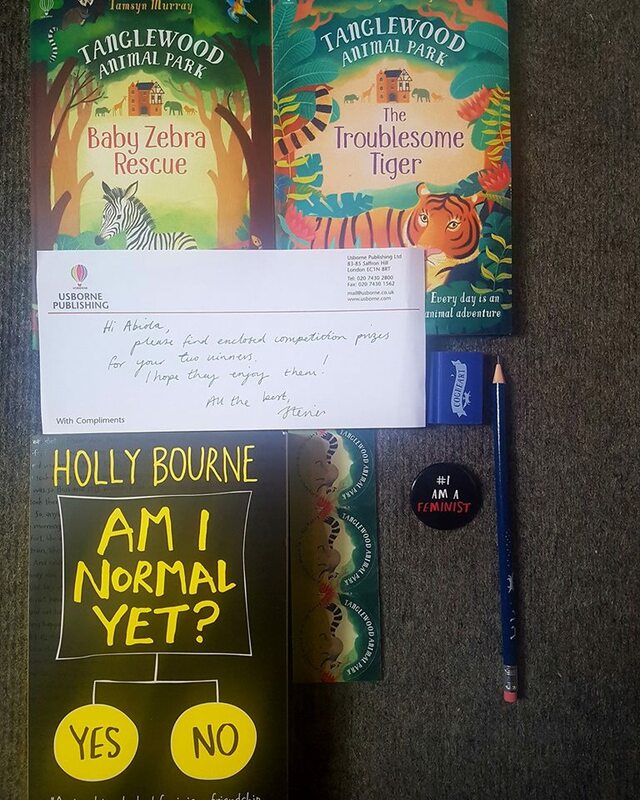 Thank you Usborne Books for the books prizes for my comp!! I was so tempted to keep the badge. How could I go to the library to return a book and I literally see a whole row of books on reserve for me. Like 10 books all saying Bello. I was so confused. We have signed two more authors to Hashtag Press!! Woo hoo and one of our authors Stephanie Nimmo was on Loose Women yesterday. Apart from dealing with the ignorant children, yesterday was a fab day! I miss Big Little Lies. Was sooooo good!! I hope they have a season 2.